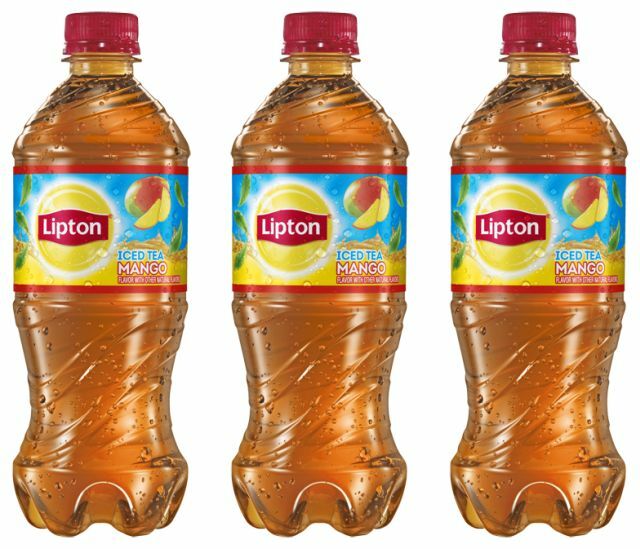 Hoping fans will appreciate the taste of the tropics as the weather turns warm, new bottled Lipton Mango Iced Tea rolls out to retailers nationwide. The new mango-flavored iced tea is available in 20-oz single-serve bottles as well as 12-packs of 16.9-oz bottles. The suggested price is $1.39 and $5.99, respectively (may vary). 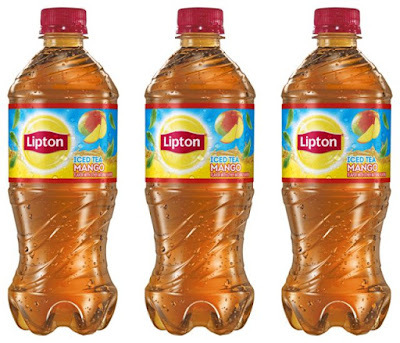 Mango-flavored iced tea was previously (and is currently) available as both a liquid or powdered mix from the brand. Update 3/28/17 - They send me a couple bottles to try. The flavor's pretty nice and sweet but there's a bit of sucralose to it if you're sensitive to it.